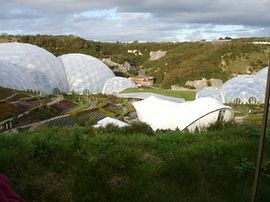 The popular town of Newquay is within a 10 minute walk and offers a wealth of attractions, including the Aquarium, Zoo, shops and fabulous restaurants. 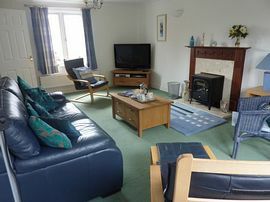 Fistral Cottage sleeps 6 and comes with all the modern facilities. Beds are made on arrival and, unlike many other holiday homes, the price includes bed linen, bath towels, electricity, heating, water and car parking. All you have to bring with you are your beach towels! The accommodation offers everything you would expect from a luxury holiday and more. We pride ourselves with our standards from being well equipped to keeping the cottage clean, neat and tidy. Internally, the cottage offers light and airy accommodation. In the large comfortable lounge there is everything you need to relax and unwind during your holiday including television with satellite tv, movies and sport, IPOD player, books, music and magazines. French windows from the lounge open onto an enclosed patio with seating and a BBQ. The well equipped kitchen has a built in gas hob, electric fan oven, microwave, dishwasher, washing machine and ironing facilities. The separate dining room, comfortably seats 6 and the downstairs cloakroom completes all the rooms downstairs. On the first floor there are 3 bedrooms and a family bathroom. The master bedroom has a shower en-suite and w/c. The 2nd bedroom has twin beds and the 3rd bedroom has bunk beds. All bedrooms have ample storage facilities. Located in a quiet and exclusive part of Newquay, called Pentire. 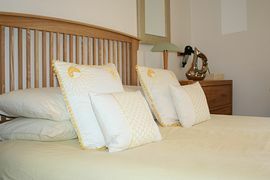 Lovely fresh clean towels and bed linen upon arrival at no extra cost! Enclosed patio with decked seating area and a BBQ. Fistral-cottage is very accessible. There are regular flights from major Airports to Newquay (20 minute drive to the cottage). Catch a train or just jump in a car! Stay on the A30 until junction marked Highgate Hill for A39/A392 to Newquay and Indian Queens. At roundabout take 3rd exit marked Newquay/Wadebridge. At next roundabout marked "Halloon" take 2nd exit for Newquay A392. At Trevemper Bridge roundabout take the 2nd exit signposted Newquay and Pentire staying on A392 Straight over next roundabout (Newquay's boating lake is on right hand side). Continue on up the hill to next roundabout, at this roundabout take your first left on to Pentire Road. Turn into Bezant Place and take the first turning on your left. 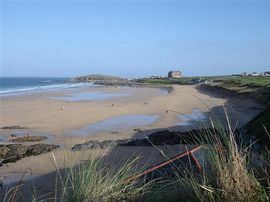 Fistral Cottage is the second on the right Number 16 Bezant Place. Car Parking, for 1 car, is situated at the side of the house. Please call us for our tarriff and availability. 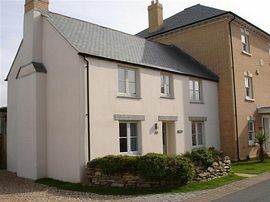 Fistral cottage is available to rent throughout the year and would be delighted to offer guests an opportunity of long weekend breaks - subject to availability. If you do not have a full week available then try a relaxing 3 or 4 night stay. Our short breaks can start on a Friday (for 3 nights) or a Monday (for 4 nights), we are very flexible about this providing we have the availability.